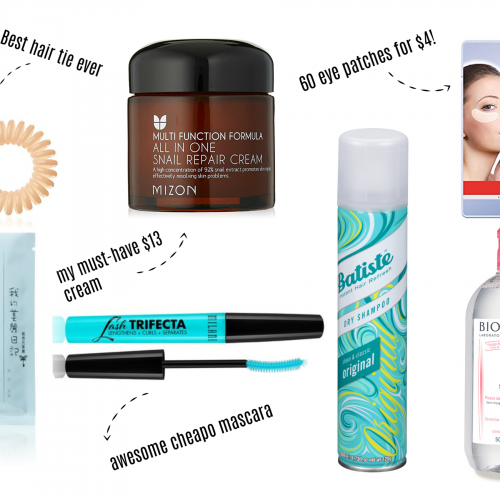 I discovered the me Bright Eye device (currently in stock at Neiman Marcus and Macys, backordered until 2/2/2018 at Nordstrom) while scouring the Nordstrom Anniversary Sale beauty section this past summer. Unfamiliar with any at-home device that purported to improve dark circles, I started researching online, reading every single review and YouTube I could find about the device. There were resoundingly good (if surprisingly few) reviews, and one in particular from a reviewer who, like me, uses the NuFace for facial sagging, thought the Eye Bright perfect to use in tandem with the NuFace. It also sounded similar to a radio frequency device I tried one time at my dermatologist Dr. Jennie Segal’s office, the ThermiSmooth. I had a special event that night, and Dr. Segal said the ThermiSmooth would temporarily make the hollows under my eyes more plump and swollen (in a good way). My under eyes definitely looked smoother, the hollows were more shallow, and I needed less under eye concealer. 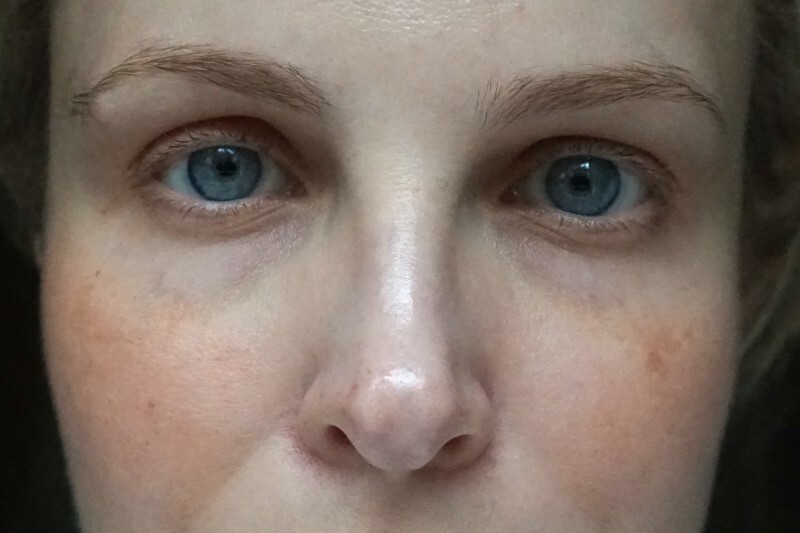 She recommended a course of several treatments for more dramatic, lasting improvement to my under eyes, which I never went back for because it cost around $300 a pop. It definitely worked though, so when I saw an at-home radio frequency device that sounded very similar to the ThermiSmooth, my interest was piqued. 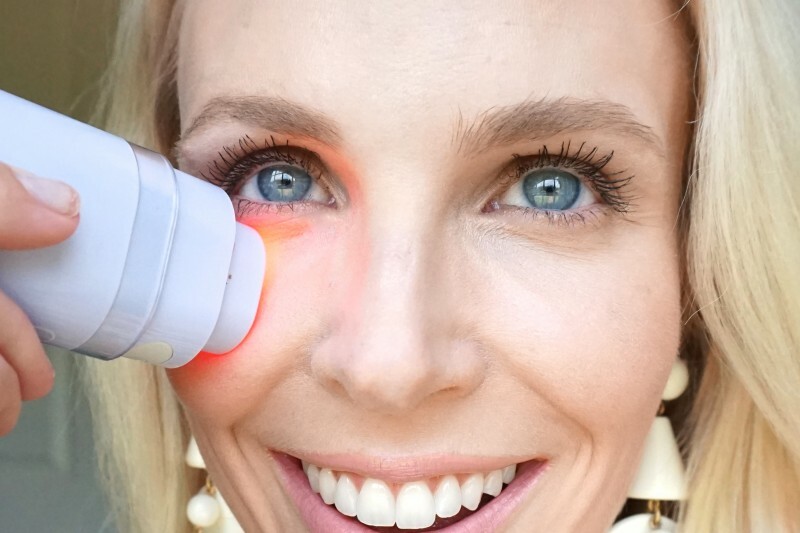 The me Bright Eye Illuminating Device is an FDA-cleared at-home device that uses radio frequency (RF) energy to heat tissue and stimulate subdermal collagen production to reduce the appearance of fine lines and loose skin. The technique induces tissue remodeling and production of new collagen and elastin, which in turn thickens and plumps the troughs under the eye, reducing the appearance of dark circles. I read medical literature about RF and there is convincing clinical evidence that RF stimulates collagen and plumps and tightens skin. No gimmick here, RF technology is the real deal. On clean, bare skin, glide the device back and forth under each under eye area for three minutes each. The Eye Bright beeps after three minutes, letting you know know to move on to the next eye. 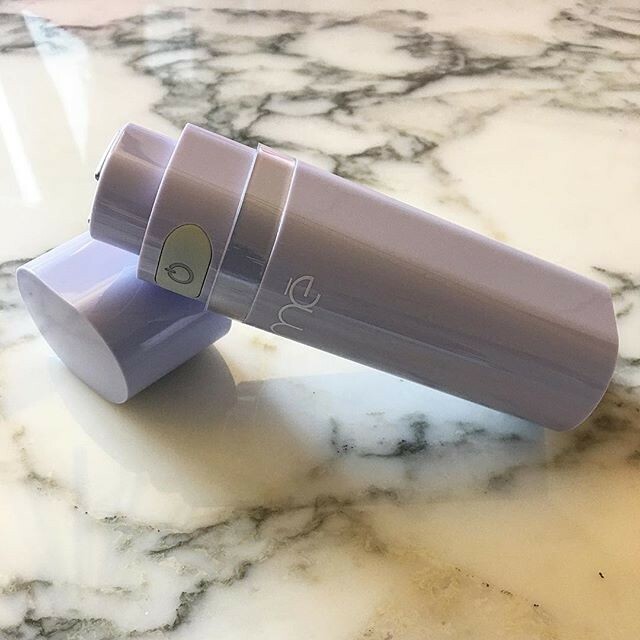 The biggest problem reviewers mentioned was that the device drags across your delicate eye area and does not use any serum or gel to make it glide. 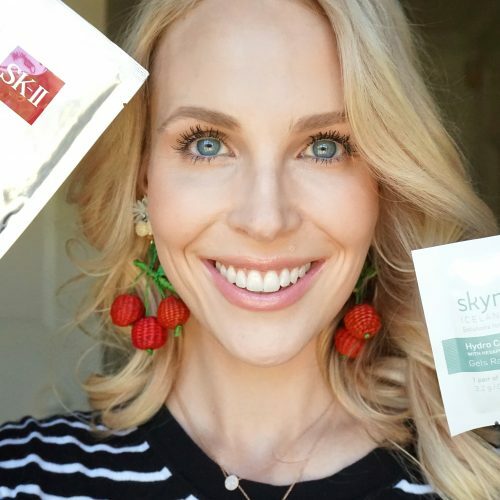 This problem is totally solved by using your Eye Bright on damp skin- I splash water on my face, and if it dries out during my session, I close my eyes and spritz the area with NuSkin Moisture Mist (I also use the spray when I’m using my NuFace device, and just repurchased it a second time). So after I bought mine on the Anniversary Sale last summer, I decided to do an experiment where I only used it on one eye. About five days in, I abandoned the experiment because my control eye looked so sad and sunken, compared to my treated eye. The manufacturer said you can see results in as little as one week, but I honestly saw visible results after one use. Like with the ThermiSmooth, the initial results is probably just a temporary swelling induced by the machine, but my goodness, it looks so good! And the results definitely build up over time- after one week and then two weeks, I could see an increasingly dramatic reduction in my under eye circles because my under eye skin looked so much thicker and padded (like it used to be). The final results I would say are comparable to getting fillers in your tear troughs, but way better because it is cheaper and looks more natural. Under eye fillers (e.g. Restylane, Juvederm, Belotero) are very tricky, and sometimes you can see them under the skin. And often they look great the first time, but as you add to them over time, they look less and less natural. Not so with the Eye Bright! 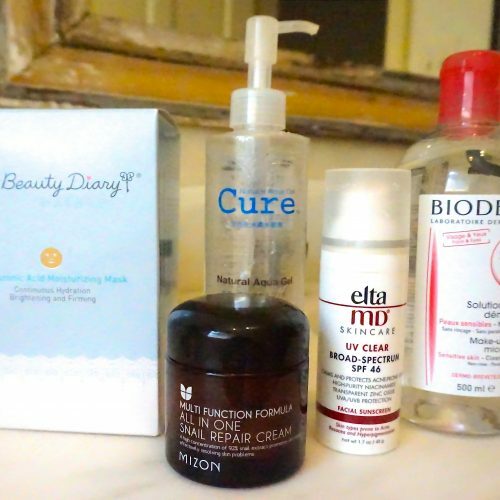 Even though the directions say to use it five times per week during the initial phase, I used it pretty much every day because I was so encouraged by the results. Ideally I like to do it every morning after I do my NuFace, but I usually run out of time and then can’t do my Eye Bright until after the kids go to bed. But I like to do it in mornings best because I feel like it gets rid of some puffiness (better than the Foreo Iris Illuminating Eye Massager, which is a sonic device just to decrease puffiness) and plumps up the hollow area to make it look better for the day. There is slight redness just from the rubbing that goes away in a couple minutes. Also the directions say you can go down to using the Eye Bright twice a week after the initial eight weeks. I have definitely used it longer than eight weeks (I started using in early August, so probably almost five months now), but I think you need to keep using it at least every other day. The first day I don’t use it, my under eye area still looks good, but by two or 3 days, it starts to look a little sunken and haggard again. Definitely a visible enough difference that it encourages me to stick with it. ‘After’ 2 months of using me Bright Eye- a different angle, but you can see my troughs are less deep. In descending order, the most visible changes I experienced were (1) plumping hollow- less of a trough under my eye; (2) circles are less dark and I need less concealer, (3) fewer fine lines around my eyes. The me Bright Eye also claims to improve crows feet around your eyes. 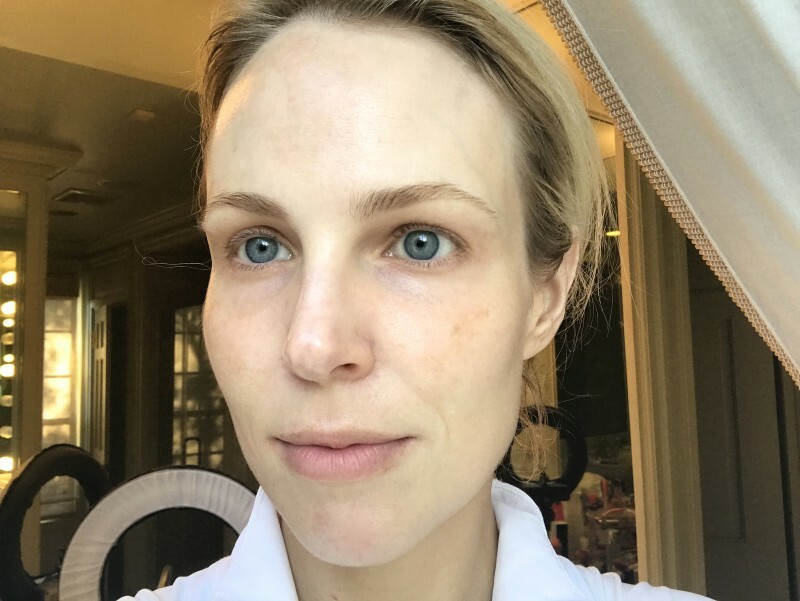 Reviewers online seemed to see less improvement with fine lines than with darkness, but I actually saw a slight improvement in my fine lines and the whole area looks more hydrated. Radiofrequency has been used for years in a doctors office and is FDA-approved and safe for long-term use. I have zero concerns about its safety or any possible side effects. Minor issues: the me Bright Eye Illuminating Device emits a very bright red light, and some users said they had to keep their eyes closed the whole time. For me, as long as I am in a brightly lit room like my bathroom, the light does not bother my eyes. Don’t look directly at it (duh), but as long as you just go about looking at your phone, making a bed or whatever you’re doing to productively pass the six minutes in a lighted room, you will be fine. Also- make sure you keep gliding the device around your eye and do not stop. It works by heating the area, and if you leave it too long, it feels like when you leave a hair dryer pointed in one spot too long. I also wish it gave me some warning that the battery power is low. It just goes “beep beep beep” and then totally stops working without warning. It does charge fairly quickly though, in an hour or so. The Eye Bright absolutely works to plump sunken under eye hollows and improve the appearance of dark circles. 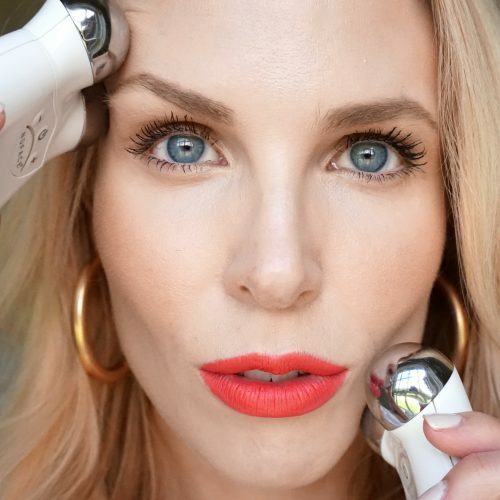 In my experience, there is nothing else on the market that works at all to improve darkness except, to a lesser extent, a microneedling tool, like the gloPRO, which also stimulates collagen to thicken under eye skin. 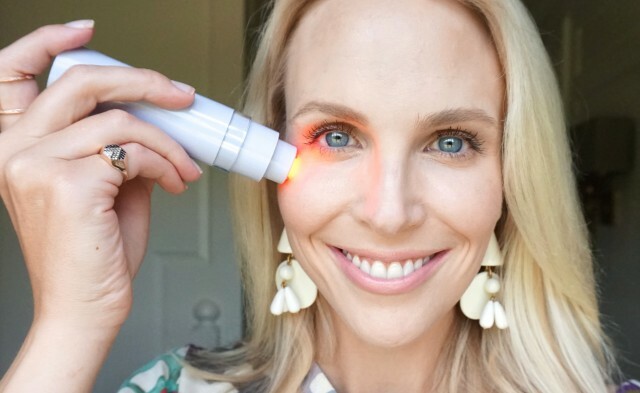 But in my opinion, the me Eye Brightening Device is the only product you can purchase that specifically targets and makes a measurable improvement in under eye circles. Now, I realize I am asking you to add a precious six minutes to your routine. Look at it this way– no one expects to exert zero effort and just wake up with an incredible, fit body. The same goes for your face at our age. 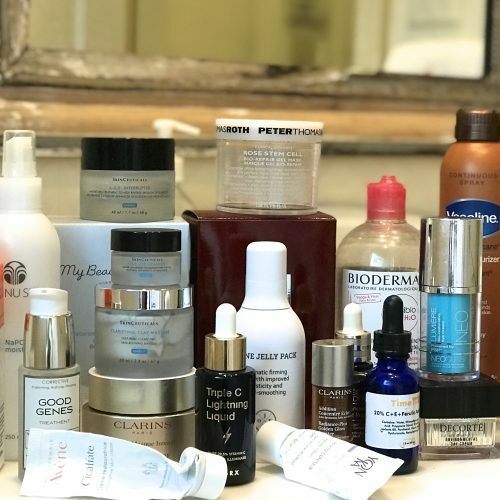 Why is it socially acceptable, nay, encouraged, to spend hours at the gym, yet spending six minutes on your face is a self-centered extravagance? If you feel like you look tired and haggard, and your under eye circles bother you, it is worth it to devote six minutes to this device. If you stick with it, I promise you will see results almost immediately that will encourage you to keep up with it. You have to want it!